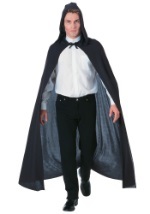 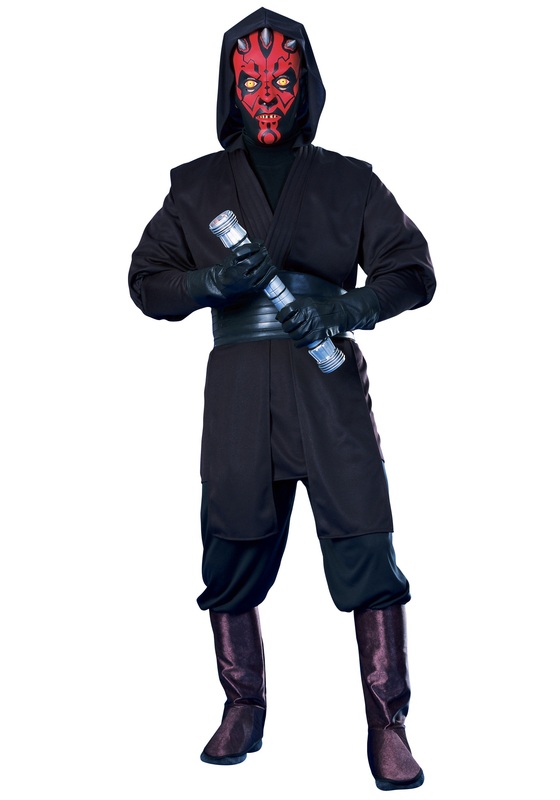 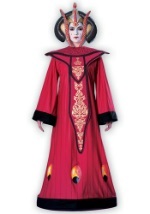 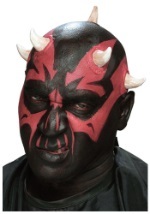 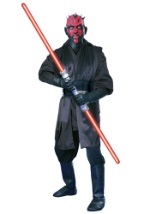 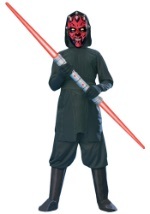 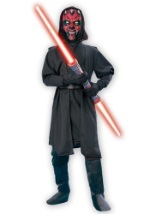 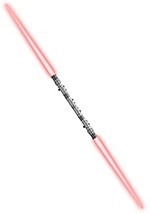 This Deluxe Darth Maul hooded tunic has long black sashes attached at the shoulders. 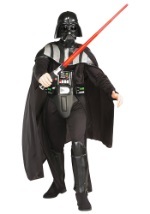 Belt is made of molded rubber and velcro in the back. 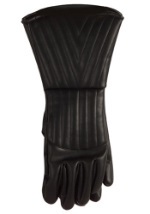 Polyester pants have an elastic waist and attached poly-foam boot tops. 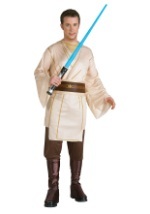 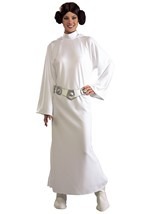 This is an officially license Star Wars costume.